I have been on a chicken frenzy lately. May be it is because it is all my ajebutters love to eat. They love chicken so much that even goat meat is chicken to them. 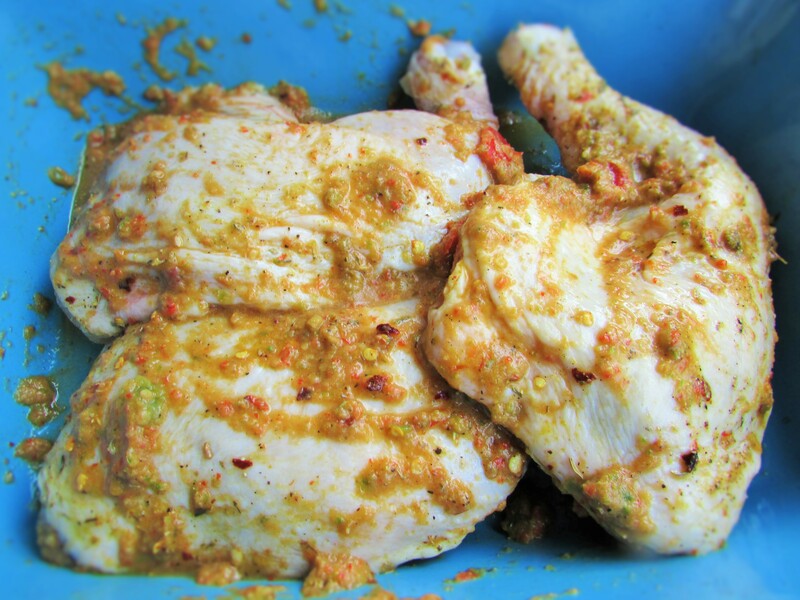 Anytime I use another kind of meat in cooking, my ajebutter1 always asks “Mommy did you say this is chicken?” Well well, I always reply with a “yes. it is seasoned differently hence the taste.” (I know, I know. LOL!) Hey! I have to cook other meats sometimes. But this week is chicken week and I just cannot get enough. Give me more chicken! Pour the blend on to the chicken(saving some for later) and using your hands, work the spices into the chicken(use a kitchen glove if possible). 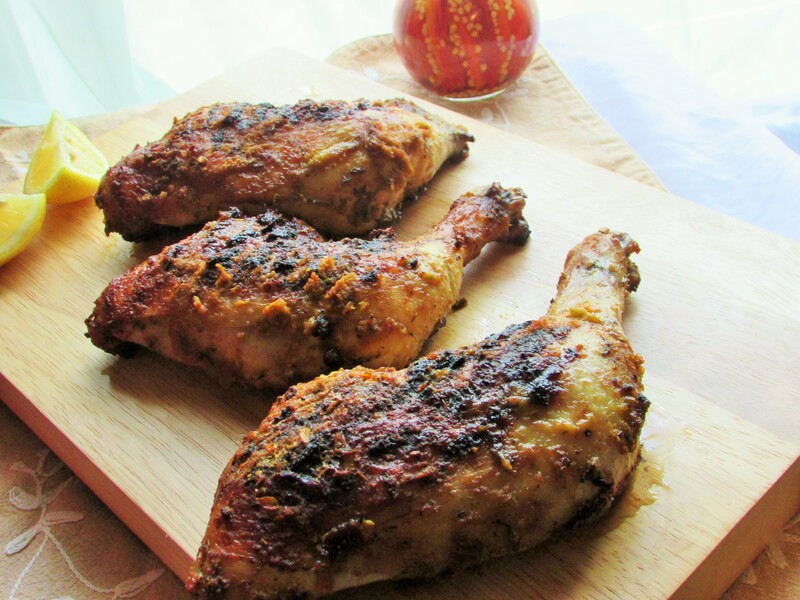 Wash your hands with soap and warm water after wards and let the chicken marinate for 24hours in the refrigerator. Once it is time to cook, heat up a non stick griddle or skillet and preheat the oven to 350 degrees. When the skillet is hot, sear the chicken on both sides until brown with a crust; then place in a roasting pan or a tray and cook. Brush on some more of the left over spices on to the chicken in between cooking in the oven and before the chicken is fully cooked. 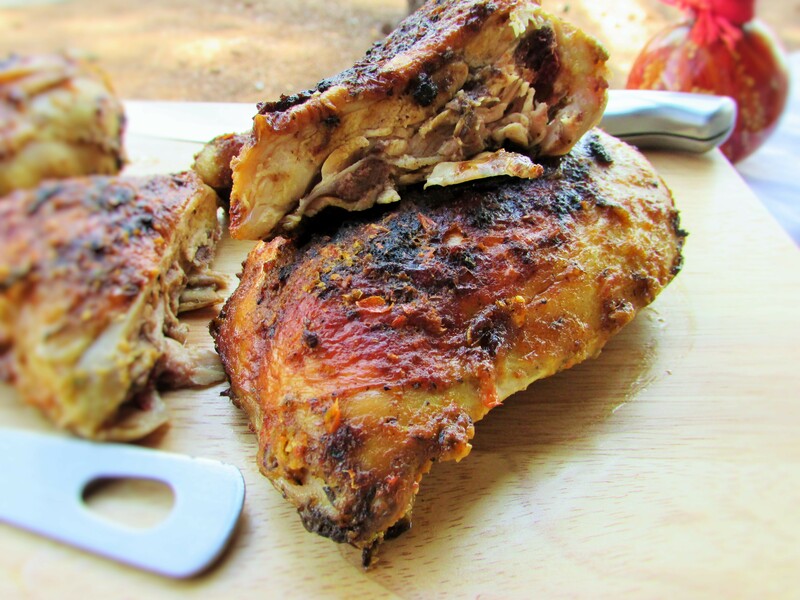 Roast the chicken until it is crusty on the outside and really moist on the inside. I had to watch the chicken like a hawk 🙂 The juices will run clear and you will know that the chicken is fully cooked. 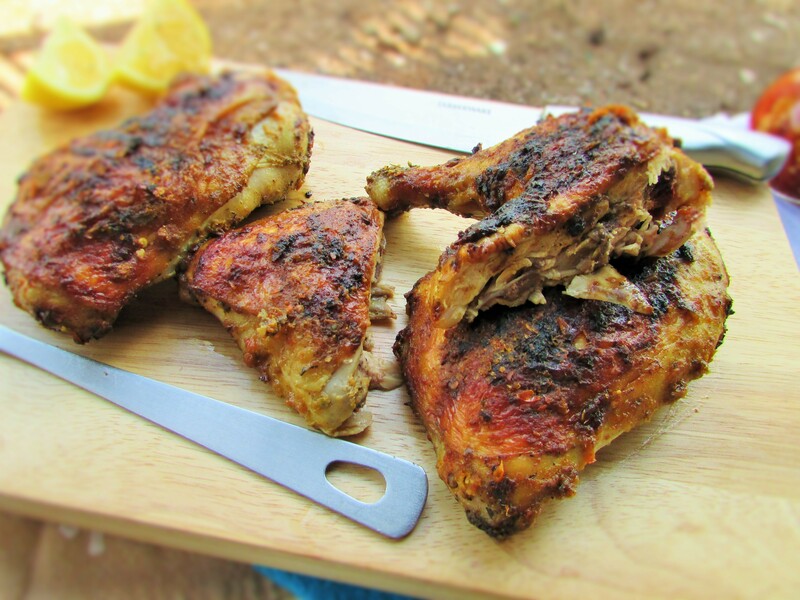 This entry was posted in chicken and tagged chicken, chicken legs, roasted chicken legs, roasted spicy chicken legs, Spicy chicken legs. Ever since you posted the pic on SYTYCC, I have been drooling! Now I will just print it out, first eat the pictures to calm my hunger and then head to the supermarket to shop for the ingredients. Great job fellow foodie!